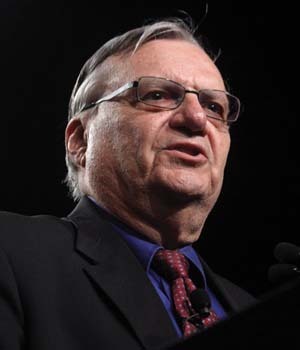 This entry was posted on March 1, 2012 at 6:20 pm and is filed under barack obama, Campaign 12, Crime, Investigating Obama, Oaths of Office, Sheriff Joe Arpaio, The Constitution, The Presidency. You can follow any responses to this entry through the RSS 2.0 feed. You can leave a response, or trackback from your own site. “…(George) Romney was born to American citizens living in a Mormon church colony in Chihuahua, Mexico. Willard Mitt Romney was born March 12, 1947 in Detroit MI to parents who were U.S. citizens and is therefore a “natural born citizen” and eligible to be President. This controversy is about a forged birth certificate and a a forged Selective Service registration card and not about the “hate” issues that you mention. And, by the way, we have reviewed the President’s policy and find it destructive of the nation. All candidates for President should be throughly vetted to be sure they are eligible “natural born citizens”. Mitt Romney easily passes that test while Barack Obama does not. I can think of at least two very popular Republican elected officials who have been suggested as potential Presidential candidates. Florida Sen. Marco Rubio and Louisiana governor Bobby Jindahl were born in the United States but their immigrant parents didn’t become naturalized citizens until after those two men were born. Thus, they are not “natural born citizens” and not eligible for President.